I usually curl my hair the night before I have be anywhere early in the morning. My hair holds curls really well so it doesn’t matter if I sleep on it. If I’m ever disappointed in how my hair looks in the morning I can just do a quick touch-up and give myself more time to do my makeup instead. Xtava has a 5 in 1 Professional Curling Iron and Wand set. I have never been the greatest at getting up and giving myself enough time to get ready the way I’d like to. If I always tried to get up in the morning and do my hair I would never make it to church. Or when I did get there I would have great makeup paired with some frizzy bedhead. Not my best look, if I do say so myself. But when I saw this new product I was amazed and had a kind of “duh” moment. 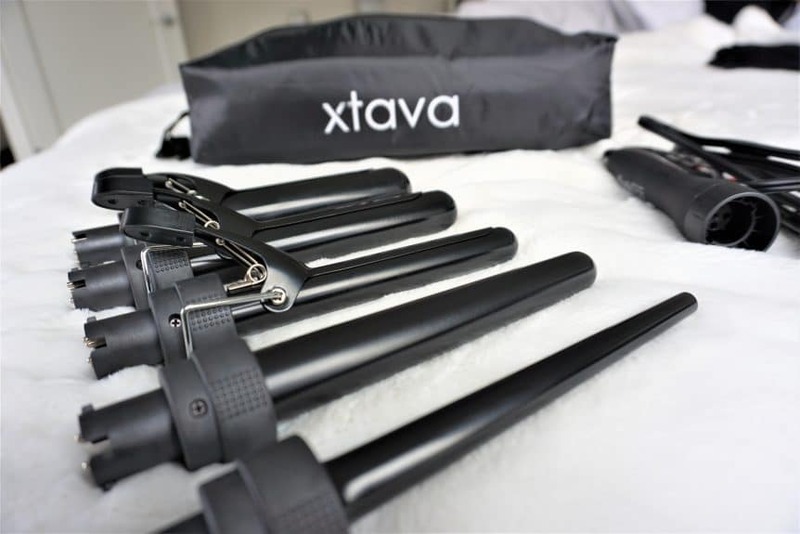 Xtava has a 5 in 1 Professional Curling Iron and Wand set. Not only can you get the natural look my now sister-in-law was going for, but you could get it without the jumble of curling irons scattered through the bathroom. Maybe it’s time for me to try styling my hair like that after all! This is probably the best product since sliced bread. Seriously. Either way, I still like to look into all the details before buying any beauty tools. My mom drilled that into me and it really stuck. She always told me it’s okay to spend more if it’s for a better product that will last. Don’t cheap out just to afford something sooner...because it will probably also break or wear out sooner. Don’t get me wrong, the woman likes a good deal as much as the rest of us. But in some cases, it is just better to shoot for quality over the best deal. I think in this case there is the potential of getting a great deal, but without sacrificing the integrity of the product. 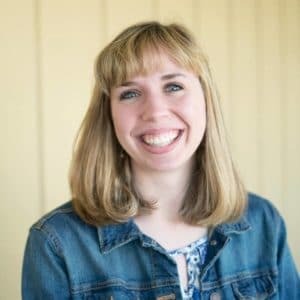 So I just wanted to walk you through my research with a few lists, in case you’re just as interested as I am! If you are the type of person who really likes having options, I would definitely recommend this product. I’m considering getting it myself because I have one curling wand and one flat iron. I never really branched out because I pretty much always do my hair the same way, I’m just not that picky. Options would be great though because I love trying new styles, I just don’t buy things for myself that often. But since this is one tool that does it all...it’s kind of hard to resist wanting to buy it! Another great thing about this product is the fact that it actually eliminates the need for a drawer full of curling irons. (A.k.a: a drawer full of tangled cords!) The fact that there is only one base, with one cord, and five interchangeable barrels makes it all that much more appealing to me personally. I also think this would be a really great option for a college student because of the fact that it comes in an easy to store case! It is pretty understandable if you don’t actually want a bunch of options. If you have a certain way of doing things and don’t want the extra hassle, I totally understand not feeling the need to purchase this product. It’s nice to have a product that you’re comfortable with and just stick with that. There aren’t really a whole lot of technical reasons not to want this product, it really just depends on your routine and if it would be practical for you. I wouldn’t recommend this if you are new to styling your hair. It does not have a cool tip and is really better for those who already have a technique down. It might be a little hard to learn without getting burned a few times. So if you want to avoid that, it’s just a heads up! This is certainly something of a revolutionary product in my opinion. I just love the fact that you can have everything you want in a curling iron and a curling wand in one product! It has a long cord, 9 temperature settings and an auto-off feature. All on 1 base with 5 interchangeable barrels. It’s really the whole package in one easy to store travel case. Talk about handy! 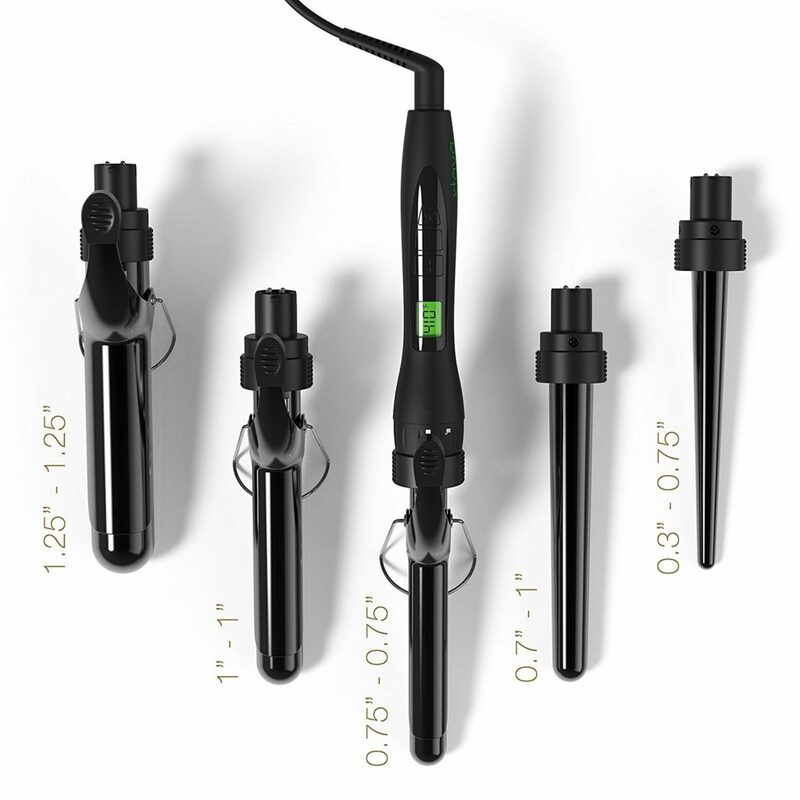 Technology: The Xtava 5 in 1 has the same important features as any other well built curling iron or wand. It comes in a convenient travel case and the barrels are made of ceramic tourmaline, which is probably the best material for hair styling tools! It has 9 temperature settings from 250° to 410° and a LED display will blink until it is heated evenly, which takes about a minute. An auto-off safety feature is included for all of us who are forgetful enough to leave it on. It also has a long, swivel cord to give you lots of room to do your hair. But by far the most unique feature of this item is definitely the fact that it comes with 3 curling iron attachments, each one having a clamp for easy control, and 2 clampless curling wand attachments. One of the wands is a solid width and the other is tapered to be bigger at the base and smaller at the tip. Each one of these attachments fits easily onto a single base, one at a time. So depending on the day, you can choose a different look, without having to plug in multiple irons! Efficiency: This product is incredibly versatile and gives you plenty of options, depending on your hairs length, thickness, or what style you are interested for the day. It heats up quickly and is ready to use in no time at all. The barrels are also easily interchangeable. But one warning on this nifty option, DO NOT swap the attachments until it is COOLED OFF. If you choose to be too hasty with this part of the process, you will definitely get burned. Be patient! Type of Hair: This is good for use on pretty much any type of hair. It has 9 different temperature settings for personalized use. It is recommended that you use a temperature of about 250°- 300° for thin hair, 300°- 375° for normal hair, and 410° for thick hair. I think it’s important to have temperature options because when I lived at my parents house I shared all my hair styling tools with my mom and sister. I had the thickest/coarsest hair, my sister had relatively normal hair, and my mom had thinner/finer hair. So we definitely can’t all use the same temperature for safe and effective styling. 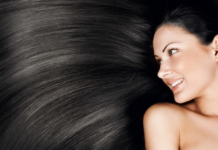 Multiple Hair Benefits: I love the fact that this product is made of ceramic and tourmaline. This helps combat frizz, static and is a lot easier on your hair. 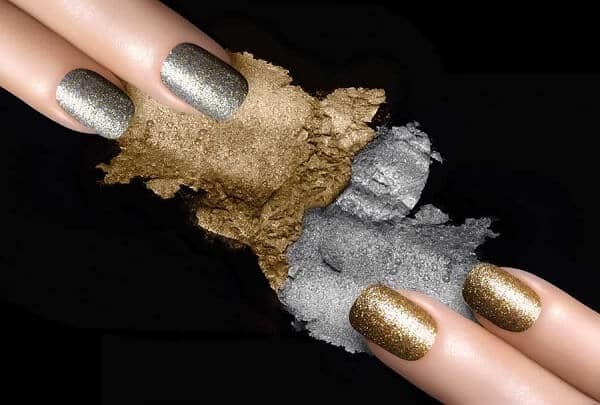 There is less damage with this material than you would expect from the alternative metal or ceramic coated alternatives. The tourmaline is what helps with the frizz and static. 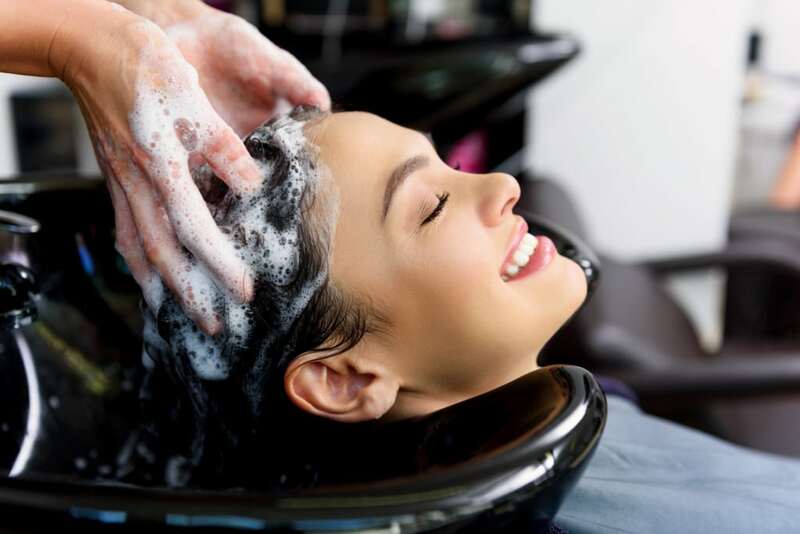 It will also leave your hair looking smooth and shiny in the end, which is fantastic in my book. No matter the materials it is made of I would always recommend using a heat protectant spray. No matter how great this product makes your hair look, it can do some real damage too. Curling Process: Really, this is the same process as any other. If you’ve never curled your hair before I would recommend hopping on YouTube and watching some tutorials. But you have a lot of options here. You can either use a clamped iron end to hold your hair while you roll it up, or you can use a clampless end to wrap the hair around the base yourself. Both options are great in my opinion. It just depends on what look you are going for! Design Flaw: From what I saw from other reviews of this product, the handle may get a pretty hot close to the top. Just watch out for this! It is easy to avoid burning your fingers if you know ahead of time. It also does not have a cool tip, so it may require a little more skill to avoid burning your fingers or face. I want to really lay out the different features of this product to give you a good idea of its best qualities. It’s important to know what you’re getting out of the product before you jump in and buy it, especially since it is on more of the expensive side. But if you think about it, the price is really reasonable for technically getting 5 different irons/wands out of it! The Xtava 5 in 1 has 1 base and 5 attachments. So you are really getting a whole set of irons and wands for the price of one. Great for college students who live in a dorm because it comes in a travel kit and is super easy to store! It has a long swivel cord which has plenty of length to give you freedom to move while styling your hair! Comes with a heat resistant glove which is great considering the lack of a cool tip. This will really help you get used to using it without totally frying your fingertips. Can be used on any type of hair because it has 9 different temperature settings. Just make sure to use heat protectant spray and put it on the right temperature for your type of hair! In addition to the temperature settings, it actually adjusts itself to the proper voltage. No matter where you use it, it will always give you the right temperature! Includes the always important auto-off feature and will shut off automatically after 60 minutes. That can take the stress out of doing your hair. It’s the worst feeling to get to work in the morning and have half a heart-attack wondering if you unplugged your curling iron! Is made of ceramic and tourmaline which help your create sleek, shiny, gorgeous curls with less damage than the metal alternatives! 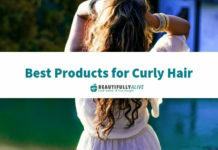 Your curls will easily last all day! Especially if you add a little bit of hairspray when you’re done styling. I never do personally, but I know depending on the type of hair you have you might need a little extra hold. By far the most outstanding feature of this product is the fact that it is multiple curling irons in one product. This provides you with a bunch of different options when you’re styling your hair. I watched a few vlog demos and reviews and I didn’t really find any complaints. This is a pretty big deal for any product. It’s hard to please everyone! Obviously there are always going to be some who don’t find the need to get this product. Not everyone wants a bunch of hair tools. But if you love options, hate clutter, and are looking for a really versatile product, this is a great option for you! As usual, I like to give you a few other options in case the product in this review wasn’t what you were looking for. I personally love to learn about new products on the market and see what’s out there. I don’t always take the dive and purchase the items I research. But that’s just because I have a tight budget and I really only want a few items that will do the job really well. Rather than filling my bathroom with things I don’t need. 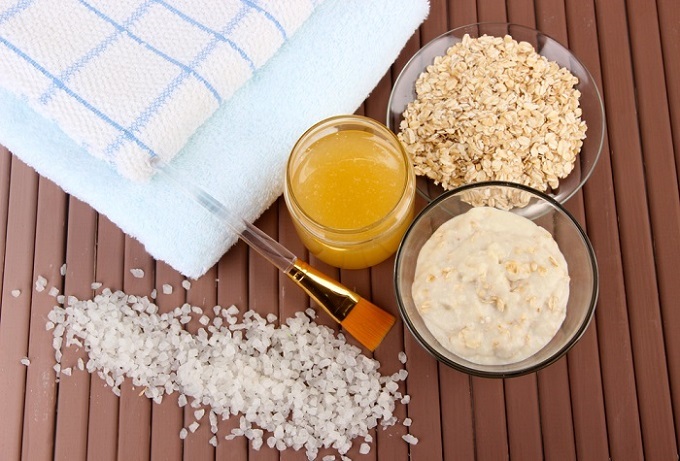 So if you would like to learn a little about a few other products I found, check out the list below! This is another really interesting product from our list! It is another multi-purpose hair styling tool. It is a curling iron and a straightener all in one! I think this is a fantastic idea because I typically only have one curling wand and one straightener. I plan to buy more curling wands in smaller sizes in the future, but I’m pretty happy with what I have for the moment. The reason I really like the idea of this particular product is because it is super simple to use and it would be a great beauty tool to travel with! If you don’t style your hair all the time and just want something that will do it all, this could be perfect! I also think that if you travel a lot and need something compact and easy to carry around, this is a great option. Instead of packing two hair tools for two totally different looks, you can do it all with one! Riwa can be used on both wet or dry hair. 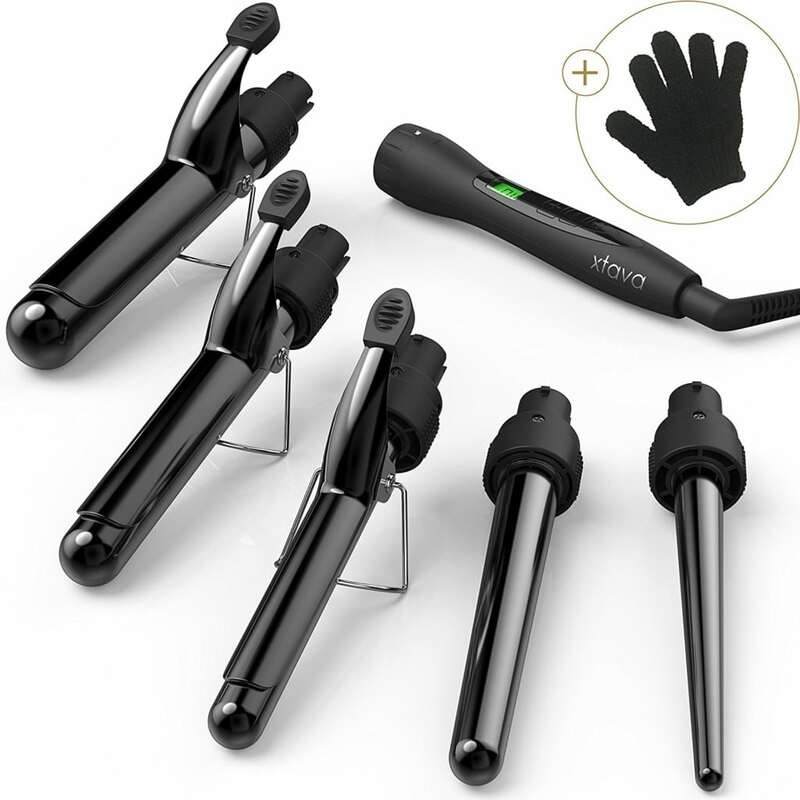 If you interested in the Riwa Curling Iron Set as an alternative to the Xtava 5 in 1 Professional Curling Iron and Wand Set in our review, you can find it at a much more affordable price! The Parwin Pro Beauty set is another cool set but with even more variety. This set is more expensive than Xtava, but it also comes with 7 different attachments, so that’s to be expected. It has a lot of the same features including the travel case, glove, one base, multiple attachments, and is also made of ceramic and tourmaline. If you like to have a lot of options for one set price, this could be an even better option than Xtava. It has an even wider variety of barrels in different sizes and shapes. It has a lot of the same important features as well! It has similar benefits and reduces clutter because it also has the travel case and one base. So basically is you are interested in even more options and don’t mind paying a little more for them, PARWIN PRO BEAUTY 7 in 1 Set could be the right product for you! This is another product that has been on our radar because it is a really popular item for anyone who likes really little corkscrew curls. This item has the same long cord, heats up quickly, is easy to use and it’s much more affordable. This is all around a much more simple product for those of you who already know exactly what style they want without all the fuss. Or it could even be a great additional product to get for tighter curls, since the Xtava doesn’t really have that as an option! 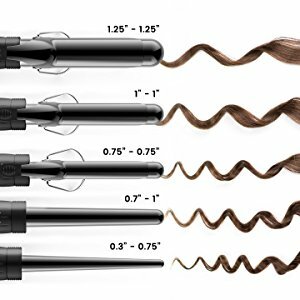 If you are interested in a more specific style and already have the larger options like I do, Lee Stafford’s Chopstick Curling Wand could be a great affordable option for you! We have even done a review on it already if you’d like to know more about it! All in all, I would actually be really interested in purchasing the Xtava 5 in 1 Professional Curling Iron and Wand set. At the moment I only have one wand because I love it and haven’t had the need to purchase another. At least not yet! I just don’t see the reason in buying a bunch of beauty tools that are going to take up a bunch of space that I don’t have. Big curls and loose waves are much more my style preference. So if I was going to look into another option this would certainly be on the top of my list! All of the attachments fit my taste and there wouldn’t be a big issue with clutter because there is only one base and it comes with its own case! I also love the features! Auto-off is something I never used to look for in my beauty tools and now I don’t know if I would want to buy anything without it. I’m pretty diligent when it comes to unplugging everything, but everyone makes mistakes! I also only really like hair styling tools that have temperature control options in case I need to lend them to a friend. I always use the highest setting for my thick hair but I like the ability to turn it down for a touch up. So this certainly gets a 5 star rating from me in the end because it is so popular, great quality and has so many features! If you are interested in this option as well you can get the Xtava 5 in 1 Professional Curling Iron and Wand Set for a great price as an Amazon Choice item!